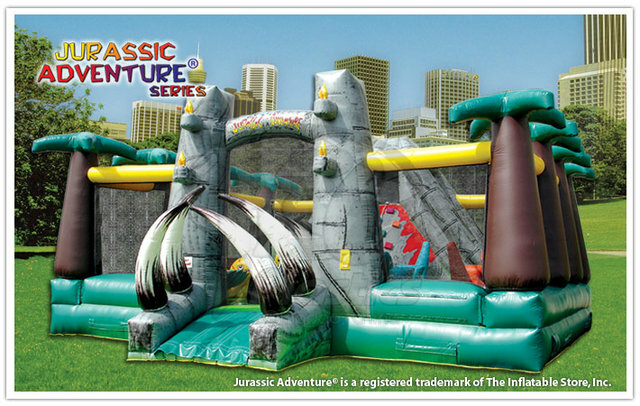 The Jurassic adventure playground is a real crowd pleaser. Holds 15 kids at once! In the jurassic adventure children enter through the ancient dinosaur bone yard, then use ropes to guide your feet up the rocky terrain of the raging volcano at the mountain's peak. If you can't take the heat, take the fastest route to the bottom on the 10-foot dueling inflatable slides. Then, ride the two rockin' dinos and slam the tall dinosaur pop up heads. It's an adventure that you'll never forget! 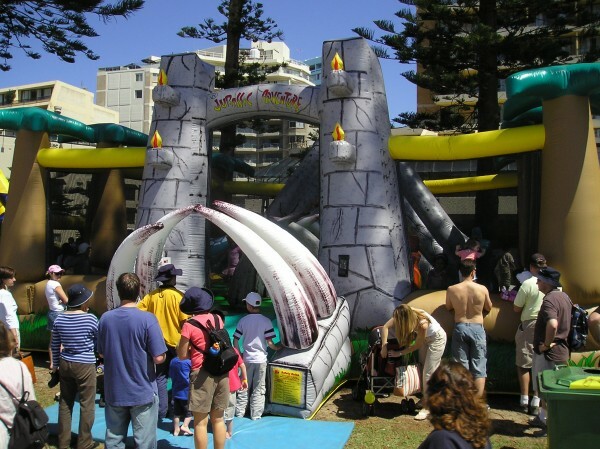 With 15 to 20 children at a time, this bounce house can entertain a large crowd for several hours.